Chapter 44 of the Book of Ezekiel contains provisions relating to the true priests. These principles have been carefully established by God in order to keep the temple free of all the desecration . Desecration is "disrespect or violation of what is holy, sacrilege, profanity", something totally unacceptable to Him who is thrice Holy (Isaiah 6.3). "And thou shalt say to the rebellious, even to the house of Israel", so the Lord commands Ezekiel. Prophetically, the Lord is speaking to His Church today, which is in spiritual decline because of its disregard for the ordinances, rules and laws of God's house, which has been systematically flouted by believers, called "rebels" fairly and accurately because of that. This violation of the Word of God, specifically with regard to His house by the rebels, was called by the Lord "abomination." 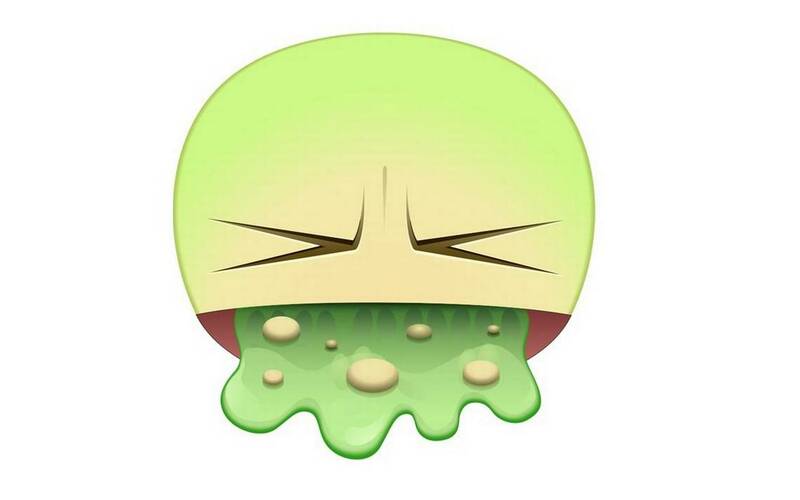 The word "abomination" in this text comes from the Hebrew tow`ebah, meaning "repulsion, abhorrence, idolatry, something ritually impure and ethically evil, something disgusting, which causes vomiting." God was speaking, therefore, with His people, saying, "you are bringing something repulsive, disgusting, evil, inside of My house, causing me disgust, causing me nausea with it." But what Israel was doing - and that we believers in Christ, many, many times we repeat today - that was "wrapping the stomach" of the Lord? The introduction of foreign (heb. "Ben Nekar" ing. "Aliens") wicked (uncircumcised in heart and uncircumcised in flesh) in service (worship) the Lord by offering sacrifices to the Lord! Heart Circumcision refers to a correct state of the soul, holiness; therefore the uncircumcised of heart was not sanctified nor is holy in the eyes of the Lord, but it is wicked (Romans 2:29), not-fearing the Lord and disobedient to His Law (hence the uncircumcision of the flesh) - both circumcisions are linked, for who does not care for the Word of God makes it heart. Uncircumcision of the heart (gr. Sklerokardia in LXX) expresses thereby indomitable determination to oppose God (Acts 7:51). So what was in focus in this text of Ezekiel, which caused an abomination to the Lord, was the fact that wicked men had been brought into the house of God to act as priests with all prerogatives! Infidels in the function which admitting only people circumcised in heart and flesh, genuine people of God! They were there, in the house of God, ministering; offering the Lord's bread on the table of showbread, burning fat derived from the sacrifices on the altar and sprinkling the blood sacrifice! Indeed, just thinking about it gives knot in my stomach! The truth is that in many places believers are putting in pulpits of churches unconverted people, for minister to the Lord; many of these unconverted priests possessed by evil spirits! To illustrate this fact, look what happened in Nigeria, during a service at the Synagogue Church Of All Nations pastored by Pastor T. B. Joshua: a pastor who visited the church expressed a demonic possession during a service and, after free from oppression, confessed that he sought help in witchcraft to work miracles in his name, who was suffering from the loss of the faithful, as reported by the British newspaper "The Mirror" (http://www.mirror.co.uk/news/world-news/fallen-pastor-who-used-witch-8706923. Access: 02.09.16). As news this newspaper, "the pastor Victory Chiaka was so desperate to save his church in the state of Imo in Nigeria who was an expert on occultism to sacrifice a chicken and a goat in order to achieve a supernatural edge". The site "Gospel Mais" brings the outcome of the case:. "During a prayer to cast out demons, Pastor Victory Chiaka fell squirming [...] According to information Express UK, Chiaka also said that as his church experience growing and some people witnessed healings and miracles, he thought God had approved his choices. " (https://noticias.gospelmais.com.br/pastor-possesso-admite-ritual-feiticaria-operar-milagres-85319.html) According to another British newspaper, the "DailyMail", the pastor Victory Chiaka decided to visit the Synagogue Church of All Nations to receive their "liberation" after witnessing the negative effects. Pay close attention, dear reader: There are many ministers, bondholders apostles, pastors, prophets, bishops, etc., throughout Brazil and the world which never were saved by Christ and are being used by evil spirits! People who are not converted and they are doing an all grow "their ministries and churches," even consult sorcerers and practice witchcraft! People who say "used by God" operating "in the Spirit" miracle workers, when in fact the supernatural operation being performed does not originate in the work of the Holy Spirit, but in acting evil spirits! In truth, this gospel paranoia "grow and be powerful and recognized", which took account of the Gospel people, is annihilating the little of true Christian spirituality that remains to church, either in Brazil or in the world. Because the growth and recognition are accepted the evil in the church; are accepted "gospel witchcraft" (anointed handkerchief, anointed water, anointed broom, coarse salt, anointed pen, unload session, undoing work, etc. ), "gospel prosperity" (tie mammon, open door / window, gives trízimo / quadrízimo, etc. ), "gospel anointings" (lion, chicken, owl, ocean, penile, etc. ), "prophetic acts" (pastor going over the members of the Church, leaders released inflated balloons with helium gas containing prophetic words and a seed that will spread over the state in a powerful revival, etc. ), etc; false miracles and healings, pastors locking demons bottles, etc. Today the church, which should be centered in biblical faith, are centered in market rules, using and abusing to marketing to conquer believers of other denominations, as this will result in economic and political power to the leader on his personal project of social mobility. Apostates of the faith! There are a proliferation of heresies (see this, by Joyce Meyer, reported by Genizah website: "During the time that He remained in hell, the place where you and I should go, because of our sins ... He paid there the price ... No plane would be too extreme ... Jesus paid on the cross and in hell ... God raised up His throne and said to demon powers tormenting His flawless Son:. 'Let him go' then the power of the resurrection God Almighty entered hell and filled Jesus rose from the dead ... and the first man born again "-" the Most Important Decision You Will Ever Make:. a Complete and Thorough Understanding of What it Means to Be Born Again ", 1991, pages 35-36 Joyce Meyer's original) (source: http://www.genizahvirtual.com/2016/08/joyce-meyer-prestigio-luxo-fortuna-e.html. Access: 09.02.16). And every day there is a new one! Doctrines of demons, teaching deceiving spirits! There is a phrase attributed to Luther that fits well here: "Any teaching that does not fit in Scripture must be rejected, even if it rains do miracles every day." It is obvious that in this environment, with impious people ministering at the altar, the result can only be one: the loss of Christian essence by the church. Yes, because our Lord is being replaced as the foundation of the Church; He is, to this day, the stone which the builders rejected! The church today has not based the apostles (I speak of true apostles, not this bizarreness that is there). Today, the spiritual state of the church is "Jesus out, slamming the church door" (Revelation 3:20) - empty of God, producing empty believers of God, without essence, without conversion - then applies again Ezekiel: "invalidating my covenant." People who participate in worship and return to their lives without having a real spiritual transformation, without experience regeneration, the new birth of which the Lord spoke, a prerequisite for entrance into the Kingdom of God. People who even has a form of godliness, but denying the power thereof; lovers of their own selves, covetous, boasters, proud, blasphemers, disobedient to parents, unthankful, unholy, without natural affection, trucebreakers, false accusers, incontinent, fierce, despisers of those that are good, traitors, heady, highminded, lovers of pleasures more than lovers of God (II Timothy 3:1-5). This is so serious, so serious, that the Holy Spirit inspired a whole book on the subject: the Epistle of Jude. And that's exactly how the Spirit inspired: "For there are certain men crept in unawares, who were before of old ordained to this condemnation, ungodly men, turning the grace of our God into lasciviousness, and denying the only Lord God, and our Lord Jesus Christ. These be they who separate themselves, sensual, having not the Spirit." (Jude 1:4,19) Note: DOES NOT HAVE THE SPIRIT! If anyone do not have the Spirit, then NOT THE SPIRIT THAT OPERATES BY MEANS OF THEM! This is not a question of "understanding of the Bible" or "a theological question": is much more serious: despite the performance, do not have the Holy Spirit! See, dear: How many people were "anointed" and "ministered" by Pastor Victory Chiaka? How many supernatural things this pastor did? And who was behind these acts? Who was behind the said growth and protection? The Holy Spirit? God? The Lord Jesus? NO, NO AND NO! Dear Brothers and Sisters, it's time to open your eyes! It's time to wake up, to be mature in spiritual things! You have to know what is truly spiritual, not be ignorant of this reality (I Corinthians 12:1), or Satan will continue to take advantage of you! That´s enough of abominations, Oh! Church of Christ! That´s enough of profanation! That´s enough tolerate wicked people in the government of the Church, in the altars and pulpits, ministering as if they were genuine Christians! THAT´S ENOUGH! Think about it. God is giving to you eagle vision! God bless you! 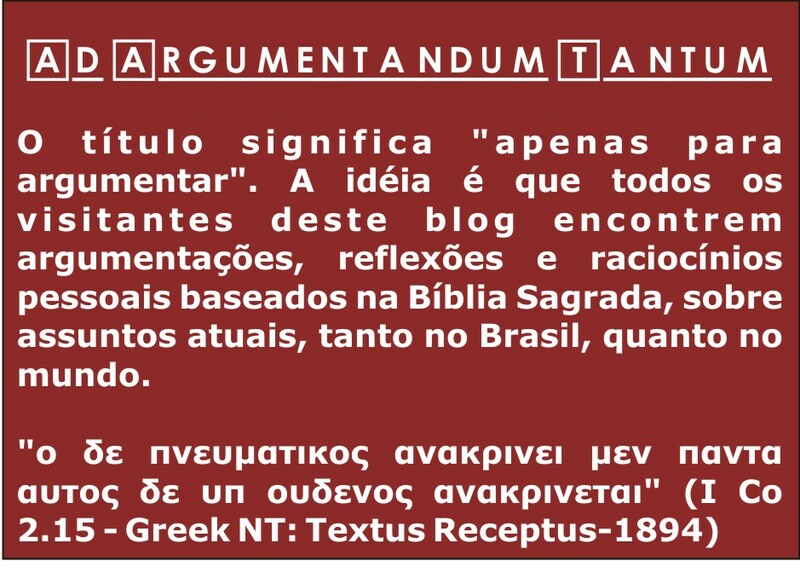 Note 1: This is english version of: http://apenas-para-argumentar.blogspot.com.br/2016/09/quando-igreja-gera-nauseas-em-deus.html. I´m not has much proficiency in English writing, but the purpouse of this is build the Christ church around the world which don´t speak or understand Portuguese. In case of doubt, prevails Portuguese version. Note 2: Please, fell free to comments. In case of copy, please request permission first by e-mail prricardoksf@yahoo.com.br, mention the link of this article/blog and the authorship.